I was born and raised in Phoenix, Arizona. I started law school in 2001 and graduated from Syracuse Law School in 2003. Prior to that I received my bachelor’s degree in 2000 from Arizona State University. After becoming licensed to practice law in Arizona in 2004, I worked for a couple of law firms before co-founding Stuart & Blackwell in 2011 with Kristy. Kristy and I focus on adoption, adoption litigation, foster parent and dependency litigation, guardianships, estate planning, and family law and related litigation. I am also a member of the Arizona Adoption Coalition, a statewide non-profit group of adoption agencies and professionals dedicated to improving adoption services and promoting adoption. My professional goal is to educate the community about adoption; promote adoption; prevent children from falling into the foster care system; maintain children in stable, loving homes; and promote guardianships by relatives when adoption is not available. On a personal note, I have been married to my wife, Allison, for over 20 years. We are both Arizona natives and together we are raising 5 children in Mesa, Arizona. I’ve served as president of my local little league for 8 years and have coached many of my boy’s baseball teams throughout the years. I have also been actively involved in The Boy Scouts of America and served in many leadership positions in the local scout troop. When I’m not practicing law, I enjoy baseball, visiting my cabin to relax, listening to sports radio, and wrangling my kids. I was raised in Hillsboro, Oregon, a suburb of Portland. I’ve lived in Arizona since 2000 and started law school in 2001. I graduated from the Sandra Day O’Connor College of Law at Arizona State University in 2004 and prior to that I received my bachelor’s degree in 1999 from Portland State University. After becoming licensed to practice law in Arizona in 2004, I worked for a couple of law firms before co-founding Stuart & Blackwell in 2011 with Cory. Cory and I focus on adoption, adoption litigation, foster parent and dependency litigation, guardianships, estate planning, and family law and related litigation. I am an active member of the Academy of Adoption and Assisted Reproduction Attorneys, which is dedicated to the promotion and development of highly competent, ethical practices in adoption and children’s law. 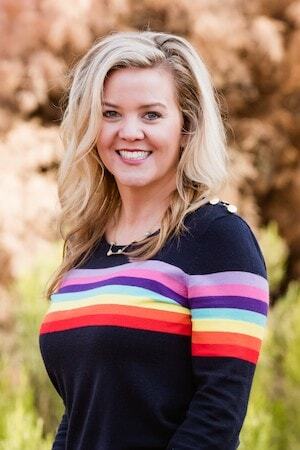 I am also President Elect for the year 2019 for the Arizona Adoption Coalition, a statewide non-profit group of adoption agencies and professionals dedicated to improving adoption services and promoting adoption. During my professional career, I have spoken on adoption and guardianship throughout Arizona. Like Cory, my professional goals are to educate the community about adoption; promote adoption; prevent children from falling into the foster care system; maintain children in stable, loving homes; and promote guardianships by relatives when adoption is not available. I have been married to my husband, Chad, for over 20 years. 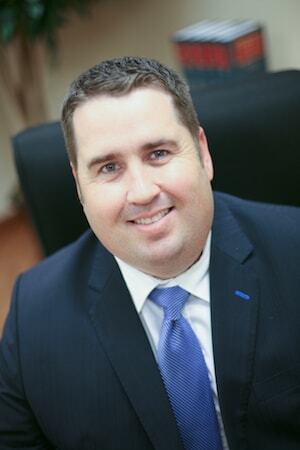 Chad is a general dentist in Chandler with an office just a few miles away from our office. I have personal connections to adoption and believe that my experiences give me a unique and personal perspective on what I advocate in regards to children having a permanent, stable home. When not practicing law, I enjoy movies, running, kayaking, listening to true crime podcasts, and reading. There’s a reason why so many new clients are referred to us by past clients. Cory has always given me sound advice and helped to do the right thing for my case. He is not afraid to be honest and tell me if my requests are unreasonable or let me know if I am being too nice. I feel confident that the end result will be what is in the best interest of those involved and be fair in order to achieve a plan that will last and work for each party. I’ve had the pleasure of working with Kristy Blackwell. She has been absolutely amazing, answered all of my questions, and was able to get me set up with a game plan during the initial consultation. Her office staff is just as wonderful and has gone above and beyond for my family and me. We would definitely recommend this group to anyone seeking legal advise! Kristy and Cory are extremely knowledgeable. They answer every question without hesitation. I feel like they fought for me every step of the way. My case involved a contested termination of parental rights. Overall, it was a tough case but with their help, we won! I am forever grateful for their help! I met with Kristy Blackwell this morning to learn more about the process for my husband and I as we seek to adopt children. She was on time, professional, and very articulate. I learned quite a bit and felt the meeting was highly valuable to us as we navigate this way of becoming a family. Kristy helped with my adoption in a very special way and I would trust her with anything in the world. She’s pretty amazing at what she does and will always go above and beyond to do what’s right for you. Kristy Blackwell did a great job guiding us through a private adoption. Loved that she was able to give us a flat fee so we knew exactly what to expect and weren’t stressed over mounting bills like we were with other lawyers who seem to charge by the minute and eat up retainers quickly. Very pleasant and professional. Samantha made us feel welcome and comfortable, as did Cory. Cory gave us the direction and assurance we were seeking. Thank you!